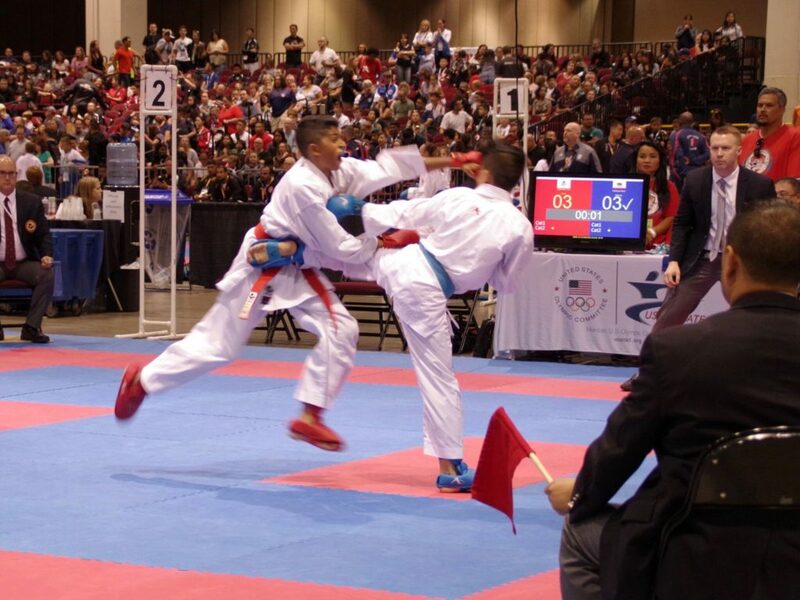 WESTBOROUGH — The Massdojo Karate School of Westborough sent its national team of nearly 40 athletes to Reno, Nevada, to compete in the USA National Karate Championships and U.S. Team Trials. The group returned with 95 medals and the honor of sending one of its top athletes, Arun Loganathan, of Shrewsbury, to Rio de Janeiro, Brazil, in August to compete in the Junior Pan American Games as a member of the USA Junior National Team. Arun earned the spot by winning both his qualifying matches in Reno.